If it is important to you to have a good view of the Changing of the Guard in front of the Buckingham Palace, then you should be there at least 1 hour in advance. At the Horse Guards Parade it is usually enough to be there 15 minutes before they start. 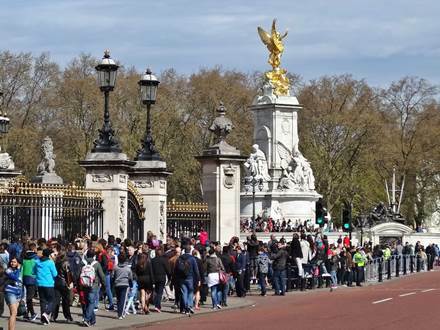 The Changing of the Guard in front of Buckingham Palace takes place every 2nd day, under normal circumstances. Sometimes the ceremony may be short-term cancelled in bad weather conditions. What time is the best to arrive? The actual Changing of the Guard takes place at 11:00 o'clock in front of Buckingham Palace. At approx. 10:45 o'clock the present guard march across The Mall avenue towards the palace, the new guard comes along the Spur Road at around 11:00 o'clock. Due to the large crowds you should be there at least 1 hour in advance in order to get a place with a good view. Often, the access to the area in front of the palace is blocked by the police already 30 minutes before the start due to overcrowding. At the end of the ceremony, at approx. 11:45 o'clock, a part of the guard march away along the Spur Road and The Mall. 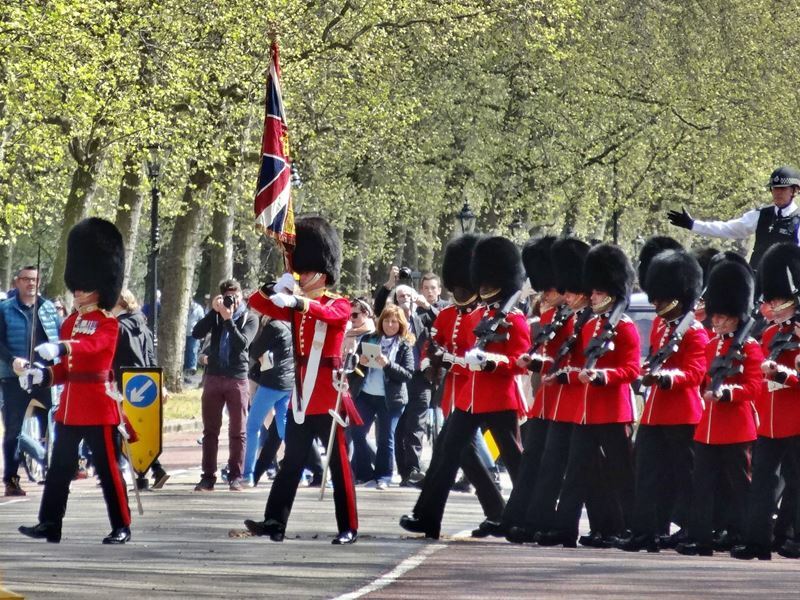 A good view of the marching guard and band is usually available at the Victoria Monument in front of the Buckingham Palace. The steps there offer a good possibility to observe and take a photo of the arriving and the leaving guard. The view is of course the best, if you catch a place in the first row directly at the railings in the area around the palace. But nearly all the time you will have there a unpleasant dense crowd. Tip for those who come too late! 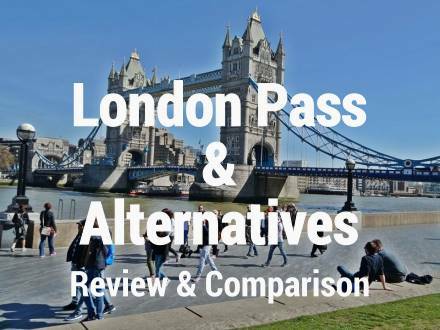 If you do not have the possibility to get in front of the Buckingham Palace look for a place at the avenue The Mall or the Spur Road close to the palace. There you have at least the chance to see the arriving and leaving guard. 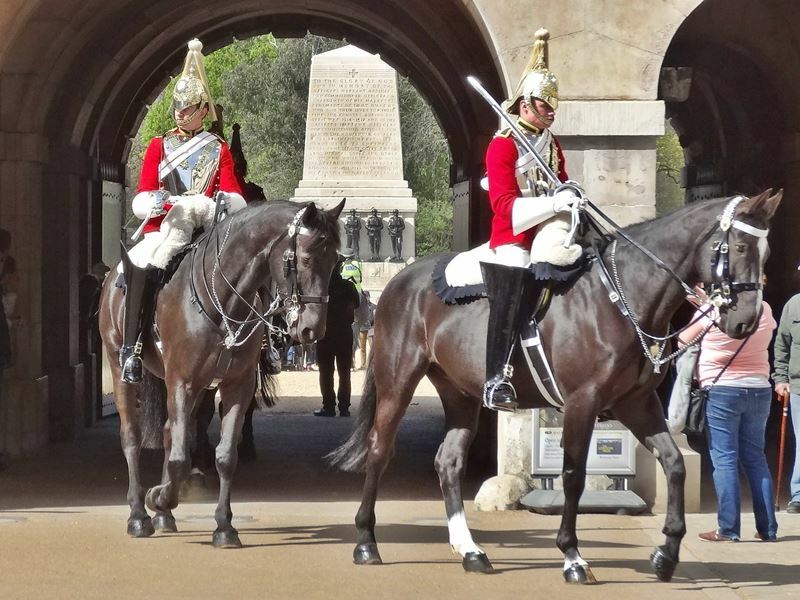 The Changing of the Guard at the Horse Guards Parade square takes place daily, Monday to Saturday at 11:00 and on Sundays at 10:00 o'clock morning. Normally this parade is not so crowded and therefore it should be fine if you arrive approx. 15 minutes before it starts. 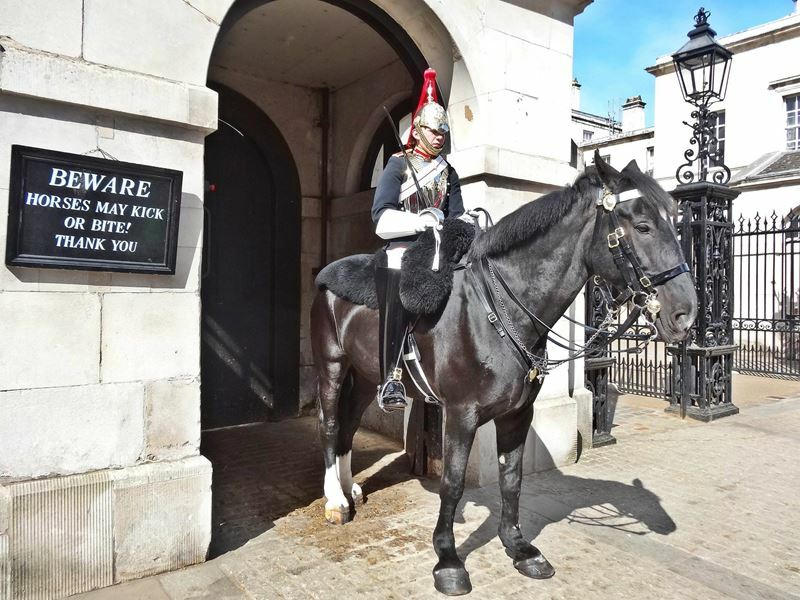 If that is already too much time consuming for you and if you only want to have a photo with a horse guard, then you are also at the right place there. From 10:00 to 16:00 o'clock two horse guards are standing in front of the gate to Whitehall street. Perfect for a photo or a selfie.